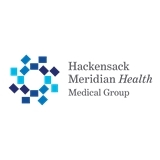 HMH Medical Group Primary Care, Oakhurst-Ste 200 (Oakhurst) - Book Appointment Online! Always a positive experience and knowing he is my Doctor provides steady piece of mind. Dr DeBlasio is the BEST primary care I have ever encountered. Personable, genuine, caring and sincere. I followed him from his previous practice to stay under his care. Truly one of the best.